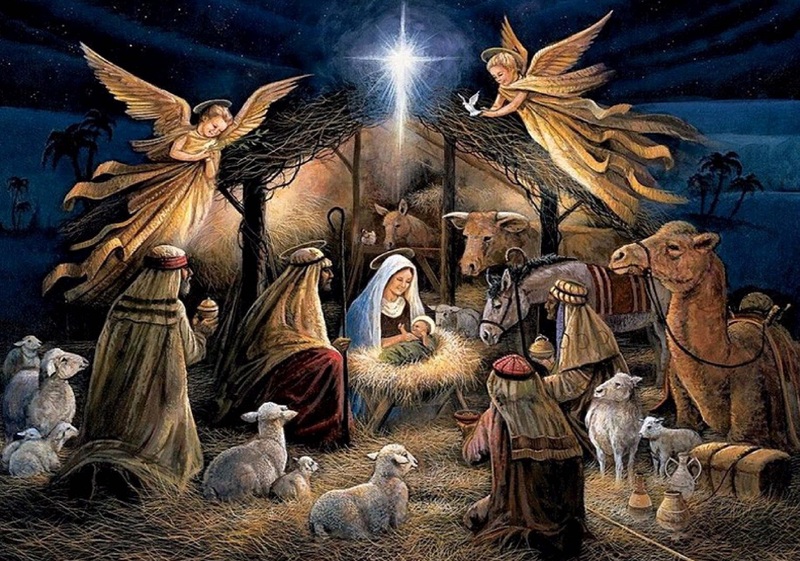 ♪Joy to the World , the Lord is come! ♪Joy to the World, the Savior reigns! I pray that Christ will find welcome in your hearts this Christmas. This entry was posted in Uncategorized and tagged 2018, Christmas, Non-Review, Personal, Theology. We’re going over to my brother, WC Bombfunk, where the Parental Pods and my sister Betsy are all up from Georgia. Mrs Bombfunk’s folks are coming over as well as her sister. Lots of family! It was a good time, excepting I came down with some sort of cold/flu thing and pretty much sat on the couch the whole time. And once home, Mrs B started exhibiting symptoms of the same. And a very blessed Merry Christmas to you too! I haven’t been paying serious attention to your Hobbs journey, so how many more books do you have? I might have asked this already on LT but can’t remember. Merry Christmas, to you and your loved ones! Wishing you and your family Christmas joy and peace the whole year through! Fingers crossed your health returns! Everyone at work was getting sick. Glad I dodged the bullet. I am glad to see you. Merry Christmas to you as well!!!! Oh yeah it’s been a busy day, but now the kids are off playing with their new presents, dinner is cooking, and I finally got some time to sit down at the computer and visit my blogs. I was sick. And I’ve now gotten Mrs B sick. But we had a good time with our extended family, so that was very good. Glad you had a good time with your extended family, at least. Hope you both get better soon! may 2019 be a good year alround! I am late to the party, but hope Mrs. Bookstooge & you had a lovely Christmas day! ..the internet is not at all evil all the time and not everyone is a naked bearded man sitting in front of the computer!